The All Progressive Congress members, Pategi have appealed to the Senate President, Dr. Bukola Saraki and the leadership of the All Progressives Congress, APC in Kwara State to endorse Hon. Aliyu Ahman-Pategi as the party’s gubernatorial candidate for next year’s general elections in the State. They made the appeal at a stakeholders’ meeting held on Tuesday, 10 March at the Cultural Centre in Pategi. 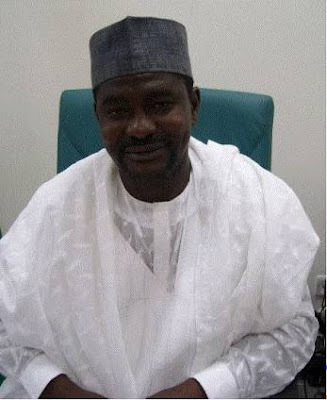 Ahman-Pategi is a member of the House of Representatives, representing Edu/Moro/Patigi Federal Constituency and is the Chairman, House Committee on Water Resources. Reading the communique after the meeting, the former Head of Service to the Kwara State Goverment, Alhaji Muhammed Dabarako, urged APC to consider Ahman Pategi as its gubernatorial candidate for the 2019 general election, stressing that he is the most popular candidate capable of winning the governorship seat. “We are therefore appealing to our Leader Dr. Abubakar Bukola Saraki (CON), the Turakin rayan kasa Nupe to kindly give to us his milk of favour to accept /approve our nominee Hon. Aliyu Bahago Ahman Pategi as Kwara state 2019 Governorship Candidate. The stakeholders said that their endorsement of Bahogo as he is fondly called, was based on his performance in his constituency, stressing that he has facilitated construction of rural roads in Edu, Pategi and Moro local government areas. They noted that the lawmaker has also constructed several boreholes across the three local government areas and facilitated employment of some of his constituents into different federal ministries and agencies. In addition, the stakeholders stated that a lot of people from the constituency have got jobs through the ongoing construction of a private university in Pategi by the legislator. Our believe (sic) is that Hon. Aliyu bahago can do better if given the opportunity. We the people of Patigi local government therefore support and present him ALIYU Ahmad Patigi as our candidate for 2019 governorship.